5Department of Neurology, Yale School of Medicine, New Haven, CT. Copyright: © 2015 Arellano MGD, et al. This is an open-access article distributed under the terms of the Creative Commons Attribution License, which permits unrestricted use, distribution, and reproduction in any medium, provided the original author and source are credited. The cause of multiple sclerosis (MS) is still unknown, and the epidemiological data indicates that events in childhood contribute significantly to this typically adult-onset disease, making it even more challenging to define elements that directly influence disease susceptibility . Most of the genetic studies indicate that the immune system is the greatest genetic contributor to disease susceptibility . However, these immune-related genes do not explain why the central nervous system (CNS) is the specific target of inflammation in MS. We hypothesize that there is an underlying dysregulation in the CNS of MS patients that makes them more vulnerable to CNS inflammation and/or damage. Historically, viruses have been postulated to be the environmental factor that dictates susceptibility to MS. This remains a valid theory, although no specific virus has been identified and it appears that it is more likely that an altered immune response to a virus, not a specific virus, may predispose individuals to the development of MS. Given that the CNS harbors numerous latent viruses, it is reasonable to speculate that the episodic interaction between the CNS and immune system to minimize virus reactivation continually shapes our immune response and may inadvertently prime adaptive immune cells to myelin antigens. An alternative hypothesis is that the CNS in MS patients is inherently vulnerable to inflammation due to altered gene expression or pathway. There have been several microarray studies that have analyzed gene expression in MS lesions and normal appearing white matter (NAWM) in brain [3-6]. Although differential gene expression has been observed, we still do not know if altered gene expression in the CNS specifically contributes to the onset of MS. To date, no miRNA studies have been performed on NAWM in the CNS of MS patients. However, miRNA studies on immune cells of MS patients have been successful in defining alter pathways in T cells that favor CNS inflammation [7-9]. While numerous studies have focused on the pathway analysis of CNS plaques in MS , there are very limited studies of the NAWM [5,6]. These studies found molecular changes in pathways associated with cellular homeostasis, neuroprotection for oxidative stress, and neuroglial differentiation. In this study, we have performed a comprehensive analysis of miRNA expression in NAWM of MS patients and control subjects to determine if specific CNS pathways can be identified that may be altered due to miRNAmediated post-transcriptional dysregulation. miRNAs are small non-coding RNA that bind to the 3’ UTR of partially complementary mRNA, inhibiting specific mRNAs from being efficiently translated into protein. Pathway analysis of the differentially expressed miRNA can identify potential targets for investigation, making it possible to identify susceptibility factors for MS. Brain specimens from MS patients (n= 16) and healthy donors (HD, n=5) were obtained through the UCLA Human Brain and Spinal Fluid Resource Center and Dr. David Pitt. Brain samples were kept at -70oC until RNA isolation. Table I lists information on the donors. Table 1. Normal Appearing White Matter Sample Information. Normal appearing white matter from the periventricular region was homogenized under a dry ice bed, lysed in mirVana Lysis Buffer (Life Technologies) and further processed according to manufacturer’s specifications. RNA concentration was quantified using a Nanodrop spectrophotometer (ThermoScientific, Wilmington, DE) and RNA integrity and quality was assessed via the RNA 6000 Nano Chip Agilent bioanalyzer (Agilent Technologies, Santa Clara, CA) only samples with an RNA Integrity Number (RIN) >7 were used for further processing. Samples were stored at -70°C until analysis. 100 mg of RNA with a 260/280 ratio higher than 1.9 and a 260/230 ratio higher than 1.8 were processed with the nCounter Human miRNA Assay Vs 1 and the expression of approximately 800 miRNA was evaluated with the nCounter System. Data was analyzed with the support of the OSUCCC Bioinformatics Core. Molecule counts reported by NanoString were first robust multiple-array average (RMA) normalized to the spike-in positive control and then housekeeping genes. RNA (1 μg) was reverse transcribed, in vitro transcribed, labeled and hybridized to the Affymetrix GeneChip Human Genome U133 Plus 2.0 Array at the Ohio State University Comprehensive Cancer Center (OSUCC) Microarray facility. Raw data were normalize with the RMA algorithm implemented in the ‘‘Expression File Creator’’ module and significant differences were identified using the Comparative Marker Selection Analysis Module from the GenePattern software package. Statistically significant changes in miRNA expression were identified using t-test (p value) and corrected for multiple comparisons using Bonferroni correction. To identify potential mRNA targets for the differentially expressed miRNA in MS patients NAWM, TargetScan 6.2 was utilized. To identify cellular pathways which were potentially altered due to the differentially expressed miRNA, DNA Intelligence Analysis (DIANA Tools) miRPath 2.0 was utilized. In Table 2, pathways that included >30 predicted mRNA targets were included. Table 2. Pathways predicted to be targeted by MS-associated CNS miRNA. Real-time PCR was performed using the Taqman Gene Expression assay (Applied Biosystems). Results were analyzed with the comparative threshold cycle (Ct) method, by which data were normalized with internal control gene, Hprt1. Nanostring Technology miRNA analysis was performed on NAWM of MS patients and control brain tissues (Table 1) to determine if there was differential expression of miRNA that may shed light on why the CNS is vulnerable to inflammation in MS patients. The NAWM samples were taken primarily from brain regions in which MS lesions are common, such as the periventricular area, but there was no evidence of a lesion in the MS samples used in this study. This strategy provided RNA samples that were from an area known to be susceptible to inflammation, making it a highly relevant site for investigation. Lesion sites were avoided because changes in the CNS due to inflammation would compromise identification of inherent differences in the CNS between MS patients and control that may be relevant to disease susceptibility. Total RNA was extracted from 16 MS patient samples and 5 control samples acquired from individuals who died of a non- CNS disease and showed no gross CNS abnormalities (Table I). Over 1000 human miRNA were analyzed by Nanostring nCounter technology which is a system to directly detect and enumerate RNA transcripts using miRNA-specific capture and color-coded reporter probes . This system is highly sensitive and accurate since it is not dependent on enzymatic amplification to detect the RNA. Based on analysis of RNA counts and t-test, 14 miRNAs were significantly decreased in the MS patients and one miRNA was increased (Figure 1). Figure 1 miRNA profiling of NAWM from MS patients and control. Total RNA was extracted from NAWM and Nanostring Technology was used to quantitate miRNA in the samples. (A) Significantly down-regulated miRNA in MS patients. (B) miR-223 was the only significantly up-regulated miRNA in MS patients. Using DNA Intelligent Analysis , an online pathway analysis program, we determined which molecular pathways in the NAWM were most likely altered due to the differentially expressed miRNA in the MS patients. Table II lists the pathways predicted to be significantly affected by the miRNAs in Figure 1. The mitogenactivated protein kinase (MAPK) pathway had the most significant p-value with 86 genes predicted to be targeted by one or more of MS-associated CNS miRNA. It is also important to note that several pathways that would be associated with an altered blood brain barrier were included, such as focal adhesion, adherens junction, ECM-receptor interaction, and tight junctions. To determine if these miRNA may be regulating the level of specific genes expressed in these pathways, a subset of the RNA samples (n=10) were analyzed by mRNA microarray. TargetScan 6.2 was used to predict specific mRNA targets of miR-191, the most significantly down-regulated miRNA. Since miRNA negatively regulate gene expression of specific target mRNA, we would predict that decreased miR-191 would result in increased mRNA levels of predicted targets and thus have a negative correlation. There were 54 predicted targets for miR-191 and we found one, WSB1, with a statistically significant negative correlation (Figure 2A). WSB1 is involved in ubiquitin-mediated proteolysis, one of the pathways identified in the DNA Intelligent Analysis (Table 2). Since we only had mRNA data on 10 of the original 21 RNA samples, there was insufficient power to determine significant correlations for most mRNA. Therefore, we analyzed if there was an inverse relationship between miR-191 and the mean expression level of the 54 predicted mRNA targets identified by TargetScan 6.2. The mean mRNA levels of SOX4 and FZD5 were both increased in the MS mRNA samples compared to the control samples (Figure 2B), suggesting that decreased miR-191 in the MS patients’ NAWM samples may be responsible for the increase in SOX4 and FZD5. To determine if there was a relationship between miR-191 and SOX4 levels, real-time PCR was used to quantitate SOX4 transcripts in the brain samples. SOX4 mRNA was elevated in the NAWM of MS patients compared to control subjects, and there was an inverse correlation between miR-191 and SOX4 mRNA levels (Figure 2C). A previous study confirmed that miR- 191 directly regulated SOX4 . Similarly, FZD5 transcript levels were determined by real-time PCR from the same brain samples, illustrating the FZD5 mRNA levels were lower in MS patients, and FZD5 mRNA levels negatively correlated with miR-191 levels (Figure 2D). Figure 2 Analysis of potential targets of miR-191. Using mRNA expression levels of the NAWM and miRNA predication analysis, the potential targets of miR-191 were identified. (A) A correlation analysis was performed between the mRNA expression of WSB1 in the mRNA microarray and miR-191. (B) Two additional mRNA, SOX4 and FZD4, had an inverse relationship with miR-191 expression. Independent real-time PCR analysis of SOX4 (C), FZD5 (D) and BDNF (E) mRNA illustrated an inverse correlation with miR-191, as well as increased levels of these transcripts in NAWM of MS patient brains compared to control. SOX4 plays a role in both Wnt and TGFβ signaling pathways, while FZD5 is involved in the Wnt signaling pathway, all pathways identified by the DNA Intelligent Analysis (Table 2). It had previously been shown that BDNF was a direct target of miR-191 . The mRNA microarray analysis had no data on BDNF expression and therefore, we performed real-time PCR on the NAWM samples to analyze BDNF mRNA levels to determine if there was a correlation between miR-191 and BDNF expression. As shown in Figure 2E, BDNF mRNA levels were reduced in the NAWM of MS patients and there was a statistically significant inverse correlation between miR-191 and BDNF, suggesting that reduced miR-191 resulted in increased levels of BDNF. BDNF has been postulated to be a potential therapy for reducing neurodegeneration in MS . However, it has also been demonstrated that trkB signaling via BDNF on astrocytes promotes nitric oxide production and neurodegeneration . Thus, enhanced BDNF levels may have both beneficial and detrimental effects in MS. The cause of MS is unknown and there are few known susceptibility factors. In the current study, a miRNA profiling analysis of NAWM was performed to determine if there was evidence of inherent dysregulation of cellular pathways in the CNS of MS patients. To our knowledge, this is the first study to use miRNA to study changes in normal appearing white matter in MS. Two previous studies used mRNA microarray analysis to address this question. Lindberg et al. found an increase in genes associated with cellular immune responses and neural homeostasis, concluding that MS pathogenesis is a generalized process involving the entire CNS. A similar study by Graumann et al. found upregulation of HIF-1α and PI3K/Akt pathways, consistent with our observation that the MAPK signaling pathway is the most highly altered pathway as predicted by the miRNA profiling. Graumann et al. postulated that the cellular pathway changes in NAWM suggest activation of neuroprotective mechanisms to preserve the cellular functions of the CNS from hypoxic insult. Together, these three studies find that the NAWM in MS patients has distinct changes in cellular pathways. What is not known from these three studies is whether these changes preceded the onset of MS or were initiated in response to inflammation and CNS damage. It has been postulated that epigenetic regulation of gene expression, including miRNAs, may have long-term consequences on the central nervous system . Environmental factors, such as stress or infection, induce epigenetic changes in the CNS that may change how the CNS responds to insults later in life. This is consistent with the observation that environmental factors in early life influences ones susceptibility to MS. Although our goal was to determine if miRNA profiling of NAWM could identify dysregulated pathways in the CNS of MS patients as a mechanism to understand why the CNS of MS patients is vulnerable to inflammation, the use of post-mortem samples from patients who have had MS for many years limits our ability to make such conclusions. However, this study provides a foundation for understanding differences inthe NAWM of MS patients that may be useful for the development of neuroprotective strategies to minimize disease progression. The analysis of miRNA in MS has largely been used to identify a biomarker or understand peripheral immune responses in MS [8,19,9,20,21]. However, very few miRNA studies have been done to understand their role in the CNS in MS. A miRNA profiling study analyzing active and inactive MS lesions found that miRNAs may be regulating macrophage function in lesions, promoting the phagocytosis to clear myelin and debris . miRNAs have been found to influence the integrity of the blood brain barrier and MS patients have an altered miRNA signature on their endothelial cells that may compromise the blood brain barrier in MS patients . In the present study, NAMW was analyzed and most differentially expressed miRNAs were down-regulated (Figure 1). miR-191 was the most significantly down-regulated miRNA and mRNA correlation analysis indicated that WSB1 mRNA may be a target of miRNA-191. Very little is known about the function of WSB1, also known as WD repeat and SOCS box containing 1, an ubiquitin ligase that plays a role in hypoxia and the proliferation of neuroblastomas [24,25]. Two additional potential genes identified as targets of miR-191 were SOX4 and FZD5. FZD5 is a receptor for Wnt7 that has been shown to play a role in neuron development, survival and synaptogenesis [26-28]. SOX4 is a transcription factor expressed in many cell types and a previous study found that SOX4 is regulated by miR-191 . SOX4 is expressed in oligodendrocyte precursors and overexpression of SOX4 in oligodendrocytes prevents myelination . A similar study found that over-expression of SOX4 in radial glia and astrocytes results in cerebellar malformation , suggesting that SOX4 is a negative regulator of CNS maturation. Thus, increased expression of SOX4, due to reduced miR-191, in the NAWM of MS patients may result in phenotypic changes in oligodendrocytes and astrocytes which in turn make the NAWM of MS patients more vulnerable to inflammation. Alternatively, the changes in miR-191 and SOX4 in the NAWM in MS patients may be in response to regional inflammation and damage, and MS patients’ oligodendrocytes and astrocytes may be less effective at responding appropriately to insults. A known target of miR- 191, BDNF , was found to have a negative correlation in the NAWM. Initially, one would anticipate that increased BDNF would be beneficial for MS patients since it promotes the growth and survival of neurons, and thus up regulation of BDNF via miR-191 may be protecting the NAWM from inflammation. Many studies in models of MS support this idea . Yet, it has also been found that BDNF signalling via TrkB on astrocytes may enhance nitric oxide production and neuro degeneration in experimental autoimmune encephalomyelitis ; therefore, the role of BDNF in inflammatory demyelinating disease in not fully understood. The only miRNA that was significantly increased in NAWM of MS patients was miR-223. Several potential targets of miR-223 were identified, including FBXW7, APC, SLC8A1, SLC4A4 and IL6ST (data not shown), but we have not been able to confirm these targets. Decreased expression of these molecules due to increased miR-223 would affect the differentiation and function of neurons, oligodendrocytes and microglia [32-36]. Decreased FBXW7 and APC would suggest that neuron and oligodendrocyte differentiation would be impaired [32,33]. miR-223 has been shown to be enriched in microglia relative to other CNS cell types . Decreased SLC8A1 via miR-223 would theoretically result in decreased respiratory burst by microglia . In addition, miR- 223 has been shown to reduce glutamate-mediated excitotoxicity in a stroke model . Thus, increased expression of miR-223 in NAWM of MS patients may prevent optimal differentiation of neurons and microglia, yet provide neuroprotection from insults. This pilot study demonstrates that miRNA are differentially expressed in the NAWM of MS patients and a larger with welldefined MS patient samples is warranted to conclusively define miRNA dysregulation in the CNS of MS patients. Pathway and target analysis indicates that there may be defects in the differentiation and function of various neural cell types that may make the NAWM of MS patients more prone to inflammation and less capable of repair. However, the data also suggests that neuroprotective mechanisms may be enriched in the NAWM of MS patients. It is unclear whether these changes are inherent in the CNS of MS patients or induced due to disease. However, further study of NAWM in MS patients may provide insights into pathways that may be therapeutically manipulated to protect the CNS from inflammation and minimize disease progression. NIH grants R21 NS078390 and RO1 NS067441-01A1 (AELR) and National Multiple Sclerosis Society grant RG 4742-A-14 (MKR). Simpson S Jr1, Taylor BV1, van der Mei I2 (2015) The role of epidemiology in MS research: Past successes, current challenges and future potential. See comment in PubMed Commons below MultScler 21: 969-977. Oksenberg JR1 (2013) Decoding multiple sclerosis: an update on genomics and future directions. See comment in PubMed Commons below Expert Rev Neurother 13: 11-19. Whitney LW1, Becker KG, Tresser NJ, Caballero-Ramos CI, Munson PJ, et al. (1999) Analysis of gene expression in mutiple sclerosis lesions using cDNA microarrays. See comment in PubMed Commons below Ann Neurol 46: 425-428. Tajouri L1, Mellick AS, Ashton KJ, Tannenberg AE, Nagra RM, et al. (2003) Quantitative and qualitative changes in gene expression patterns characterize the activity of plaques in multiple sclerosis. See comment in PubMed Commons below Brain Res Mol Brain Res 119: 170-183. Graumann U, Reynolds R, Steck AJ, et al. (2003) Molecular changes in normal appearing white matter in multiple sclerosis are characteristic of neuroprotective mechanisms against hypoxic insult. Brain Pathol13: 554-573. Lindberg RLP, De Groot CJA, Certa U, et al. (2004) Multiple sclerosis as a generalized CNS disease – comparative microarray analysis of normal appearing white matter and lesions in secondary progressive MS. J Neuroimmunol152: 154-167. Junker A1, Hohlfeld R, Meinl E (2011) The emerging role of microRNAs in multiple sclerosis. See comment in PubMed Commons below Nat Rev Neurol 7: 56-59. Guerau-de-Arellano M1, Smith KM, Godlewski J, Liu Y, Winger R, et al. (2011) Micro-RNA dysregulation in multiple sclerosis favours pro-inflammatory T-cell-mediated autoimmunity. See comment in PubMed Commons below Brain 134: 3578-3589. Guerau-de-Arellano M1, Alder H, Ozer HG, Lovett-Racke A, Racke MK (2012) miRNA profiling for biomarker discovery in multiple sclerosis: from microarray to deep sequencing. See comment in PubMed Commons below J Neuroimmunol 248: 32-39. Steinman L1, Zamvil S (2003) Transcriptional analysis of targets in multiple sclerosis. See comment in PubMed Commons below Nat Rev Immunol 3: 483-492. Geiss GK1, Bumgarner RE, Birditt B, Dahl T, Dowidar N, et al. (2008) Direct multiplexed measurement of gene expression with color-coded probe pairs. See comment in PubMed Commons below Nat Biotechnol 26: 317-325. Vlachos IS1, Kostoulas N, Vergoulis T, Georgakilas G, Reczko M, et al. (2012) DIANA miRPath v.2.0: investigating the combinatorial effect of microRNAs in pathways. See comment in PubMed Commons below Nucleic Acids Res 40: W498-504. Choi DW1, Seo YM, Kim EA, Sung KS, Ahn JW, et al. (2008) Ubiquitination and degradation of homeodomain-interacting protein kinase 2 by WD40 repeat/SOCS box protein WSB-1. See comment in PubMed Commons below J BiolChem 283: 4682-4689. Elyakim E1, Sitbon E, Faerman A, Tabak S, Montia E, et al. (2010) hsa-miR-191 is a candidate oncogene target for hepatocellular carcinoma therapy. See comment in PubMed Commons below Cancer Res 70: 8077-8087. Nagpal N1, Ahmad HM, Molparia B, Kulshreshtha R (2013) MicroRNA-191, an estrogen-responsive microRNA, functions as an oncogenic regulator in human breast cancer. See comment in PubMed Commons below Carcinogenesis 34: 1889-1899. Kerschensteiner M1, Stadelmann C, Dechant G, Wekerle H, Hohlfeld R (2003) Neurotrophic cross-talk between the nervous and immune systems: implications for neurological diseases. See comment in PubMed Commons below Ann Neurol 53: 292-304. Colombo E1, Cordiglieri C, Melli G, Newcombe J, Krumbholz M, et al. (2012) Stimulation of the neurotrophin receptor TrkB on astrocytes drives nitric oxide production and neurodegeneration. See comment in PubMed Commons below J Exp Med 209: 521-535. Babenko O1, Kovalchuk I, Metz GA (2012) Epigenetic programming of neurodegenerative diseases by an adverse environment. See comment in PubMed Commons below Brain Res 1444: 96-111. Martinelli-Boneschi F, Fenoglio C, Brambilla P, et al. (2012) MicroRNA and mRNA expression profile screening in multiple sclerosis patients to unravel novel pathogenic steps and identify potential biomarkers. NeurosciLett 508: 4-8. Gandhi R1, Healy B, Gholipour T, Egorova S, Musallam A, et al. (2013) Circulating microRNAs as biomarkers for disease staging in multiple sclerosis. See comment in PubMed Commons below Ann Neurol 73: 729-740. Søndergaard HB1, Hesse D, Krakauer M, Sørensen PS, Sellebjerg F (2013) Differential microRNA expression in blood in multiple sclerosis. See comment in PubMed Commons below MultScler 19: 1849-1857. Junker A, Krumbholz M, Eisele S, et al. (2009) MicroRNA profiling of multiple sclerosis lesions identifies modulators of the regulatory protein CD47. Brain 132: 3342-3352. Reijerkerk A, Lopez-Ramirez MA, van het Hof B, et al. MicroRNAs regulate human brain endothelial cell-barrier function in inflammation: Implications for multiple sclerosis. J Neurosci 2013; 13: 6857-63. Chen QR1, Bilke S, Wei JS, Greer BT, Steinberg SM, et al. (2006) Increased WSB1 copy number correlates with its over-expression which associates with increased survival in neuroblastoma. See comment in PubMed Commons below Genes Chromosomes Cancer 45: 856-862. Moehlenbrink J1, Bitomsky N, Hofmann TG (2010) Hypoxia suppresses chemotherapeutic drug-induced p53 Serine 46 phosphorylation by triggering HIPK2 degradation. See comment in PubMed Commons below Cancer Lett 292: 119-124. Burns CJ1, Zhang J, Brown EC, Van Bibber AM, Van Es J, et al. (2008) Investigation of Frizzled-5 during embryonic neural development in mouse. See comment in PubMed Commons below DevDyn 237: 1614-1626. Liu C1, Wang Y, Smallwood PM, Nathans J (2008) An essential role for Frizzled5 in neuronal survival in the parafascicular nucleus of the thalamus. See comment in PubMed Commons below J Neurosci 28: 5641-5653. Sahores M1, Gibb A, Salinas PC (2010) Frizzled-5, a receptor for the synaptic organizer Wnt7a, regulates activity-mediated synaptogenesis. See comment in PubMed Commons below Development 137: 2215-2225. Potzner MR1, Griffel C, Lütjen-Drecoll E, Bösl MR, Wegner M, et al. (2007) Prolonged Sox4 expression in oligodendrocytes interferes with normal myelination in the central nervous system. See comment in PubMed Commons below Mol Cell Biol 27: 5316-5326. Hoser M1, Baader SL, Bösl MR, Ihmer A, Wegner M, et al. (2007) Prolonged glial expression of Sox4 in the CNS leads to architectural cerebellar defects and ataxia. See comment in PubMed Commons below J Neurosci 27: 5495-5505. Lühder F, Gold R, Flügel A, et al. 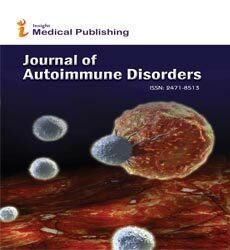 (2013) Brain-derived neurotrophic factor in neuroimmunology: lessons learned from multiple sclerosis patients and experimental autoimmune encephalomyelitis models. Arch ImmunolTherExp61: 95-105. Hoeck JD1, Jandke A, Blake SM, Nye E, Spencer-Dene B, et al. (2010) Fbw7 controls neural stem cell differentiation and progenitor apoptosis via Notch and c-Jun. See comment in PubMed Commons below Nat Neurosci 13: 1365-1372. Lang J1, Maeda Y, Bannerman P, Xu J, Horiuchi M, et al. (2013) Adenomatous polyposis coli regulates oligodendroglial development. See comment in PubMed Commons below J Neurosci 33: 3113-3130. Newell EW1, Stanley EF, Schlichter LC (2007) Reversed Na+/Ca2+ exchange contributes to Ca2+ influx and respiratory burst in microglia. See comment in PubMed Commons below Channels (Austin) 1: 366-376. Rickmann M1, Orlowski B, Heupel K, Roussa E (2007) Distinct expression and subcellular localization patterns of Na+/HCO3- cotransporter (SLC 4A4) variants NBCe1-A and NBCe1-B in mouse brain. See comment in PubMed Commons below Neuroscience 146: 1220-1231. Spooren A1, Kolmus K, Laureys G, Clinckers R, De Keyser J, et al. (2011) Interleukin-6, a mental cytokine. See comment in PubMed Commons below Brain Res Rev 67: 157-183. JovicicA1, Roshan R, Moisoi N, Pradervand S, Moser R, et al. (2013) Comprehensive expression analyses of neural cell-type-specific miRNAs identify new determinants of the specification and maintenance of neuronal phenotypes. See comment in PubMed Commons below J Neurosci 33: 5127-5137. Harraz MM1, Eacker SM, Wang X, Dawson TM, Dawson VL (2012) MicroRNA-223 is neuroprotective by targeting glutamate receptors. See comment in PubMed Commons below ProcNatlAcadSci U S A 109: 18962-18967.